Heated jackets, gloves, and other apparel have grown in popularity over the past few years, giving those who are adverse to the cold a new option for staying warm in winter weather. And while none of the big outdoor brands have entered the heated clothing market just yet, there are a number of smaller companies doing innovative and interesting things in the space. 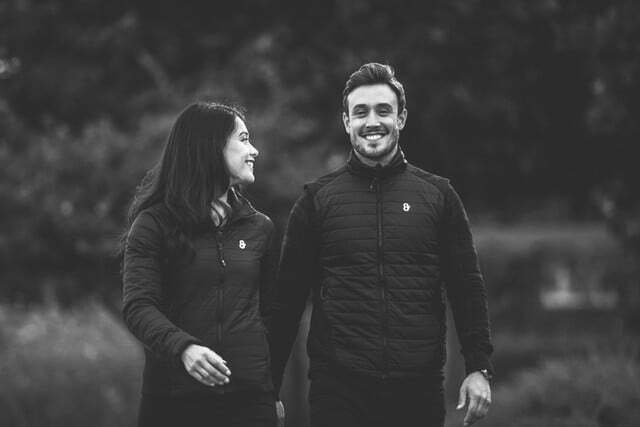 Take for example 8K, which just released a line of stylish vests and jackets that give users a new option for controlling the temperature. 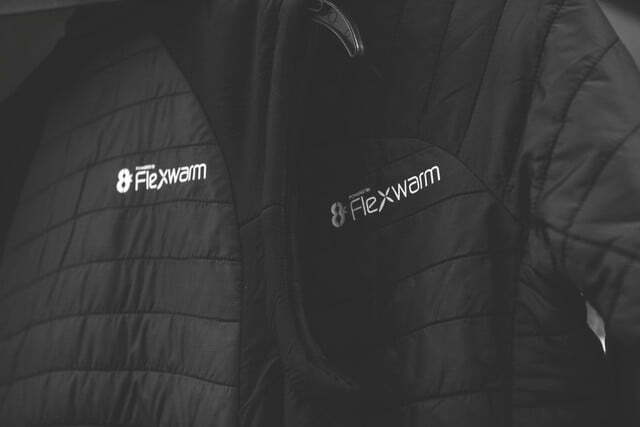 The 8K Flexwarm line of products offers styles for both men and women. From a casual glance, these jackets look a lot like just about any other lightly insulated jacket you might find someone wearing while outdoors in the cold. They are stylish, feature an athletic cut, and have a hidden drawstring that allows the wearer to adjust the fit to meet their specific needs. In addition to the two traditional hand pockets, there are also two internal pockets that are perfect for stashing a smartphone, a pair of earbuds, or other small items. But inside the Flexwarm apparel 8K has hidden a set of heating elements that are powered by a USB battery pack. When activated, those elements can warm the interior of the vest or jacket to as high as 122 degrees Fahrenheit in as little as six minutes. The included 7,500mAh battery pack can power the jacket for as much as six hours, and since it stores in its own zipped pocket and attaches directly to a USB port, larger batteries can be switched out for longer running time. What truly separates 8K’s apparel from most others on the market is its ability to connect to a smartphone via Bluetooth. Once connected, a special app for iOS (an Android version is coming soon) allows the user to not just control the temperature setting of the jacket, but decide exactly which heating zones to activate as well. Those zones include the chest, back, neck, and belt region, each of which can be turned on and off independently of one another. 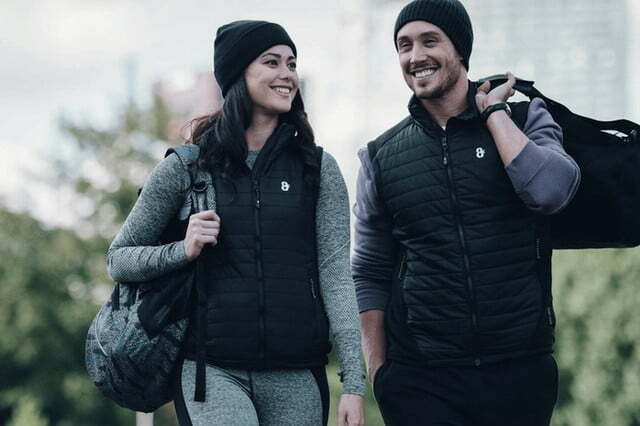 The 8K Flexwarm vest and jacket are available now and sell for $180 and $220 respectively. Find out more at 8kflexwarm.com.